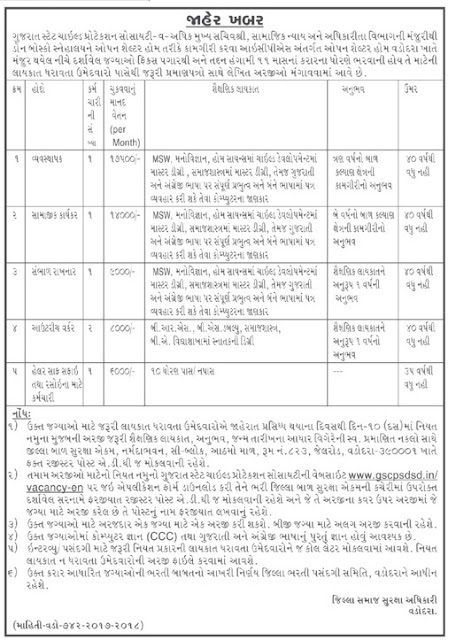 Gujarat State Child Protection Society (GSCPS), Vadodara has published Advertisement for below mentioned Posts 2017. Other details like age limit, educational qualification, selection process, application fee and how to apply are given below. 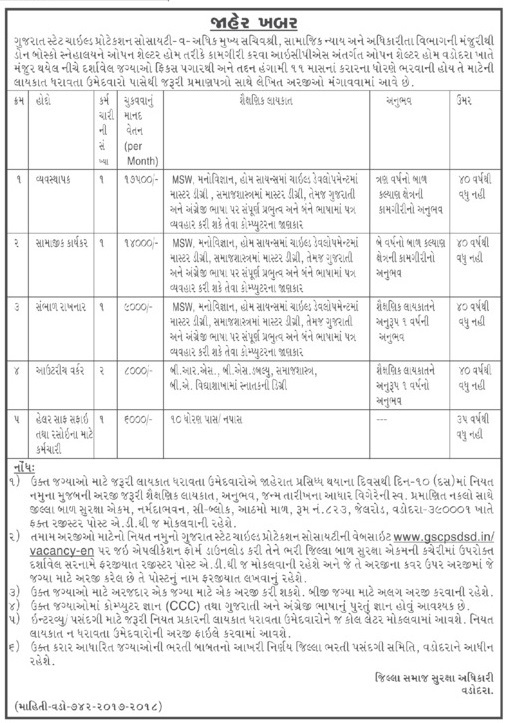 Address to sent Applications: Gujarat State Child Protection Society (GSCPS), Narmada Bhavan, C- Block, 8th Floor, Room No. 823, Jail Road, Vadodara - 390001.